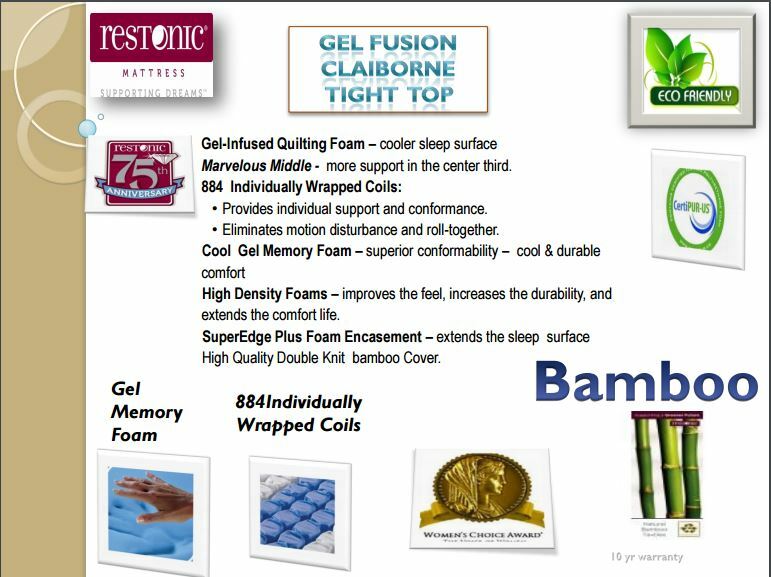 The Clairborne Gel Infused Mattress is the ultimate combination of comfort and support. 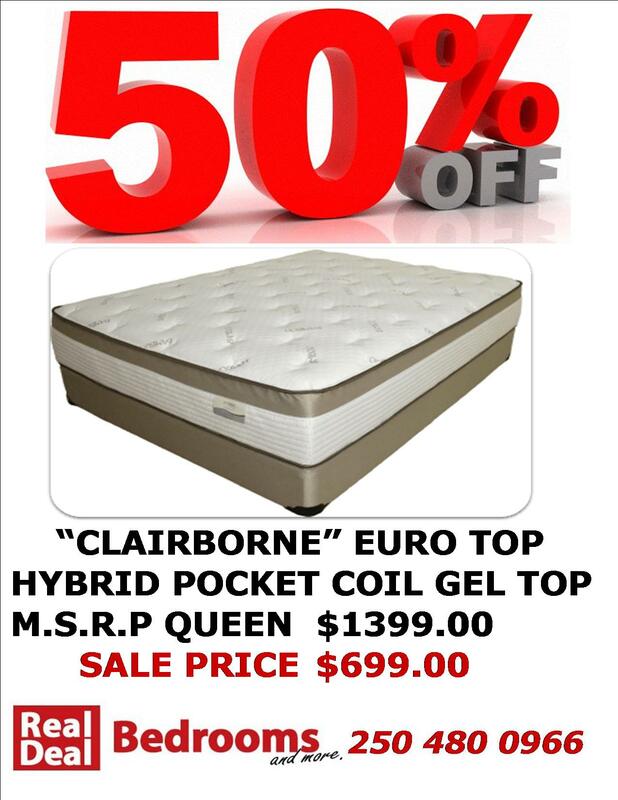 This mattress combines pocket coils with a layer of gel infused cool memory foam to help reduce pressure points. The gel infused foam dissipates the heat created by your body. This is a great mattress for people who like a medium plush mattress, but find themselves to sleep hot. Below are some features of the construction which will vouch for the credibility of this good quality, reasonably priced mattress! 360 Degree Foam Encased – Foam on all side of the pocket coils, this prevents pinching or discomfort while sitting on the edge of the bed. 884 Pocket Coils – Individually wrapped coils which are independent to the one beside. This allow for a more peaceful sleep next to your restless partner. Marvelous Middle – 25% more support in the middle third of the bed. Why waste costly material by equally spacing coils throughout the mattress, when the majority of the weight is in the middle third of the bed? Cover – Double knit bamboo cover for long lasting durability. Warranty – 10 year non-prorated warranty for peace of mind. Made in Vancouver – Everything from the coils to the foams and fabrics are made in Vancouver BC!